A bill seeks to bar use of the hand-held type, but it has numerous exemptions that some officials oppose. AUGUSTA — A sweeping bill that would expand Maine’s distracted-driving laws by banning the use of hand-held cellphones behind the wheel drew little opposition Wednesday at a public hearing. The bill, sponsored by Rep. Paulette Beaudoin, D-Biddeford, would impose a $50 fine for first offenses and a minimum $250 fine for subsequent offenses — but make some drivers exempt. Police and corrections officers would be exempt, as would firefighters and rescue workers, drivers with commercial licenses, doctors, municipal public works employees, and Maine Turnpike Authority and Department of Transportation employees, including state contractors. 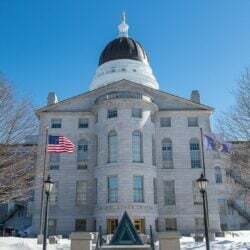 Representatives from the Maine Nurse Practitioner’s Association and the Maine Water Utilities Association asked that their members be exempt as well. Robert Schwartz, executive director of the Maine Chiefs of Police Association, said in an interview that the bill has too many exemptions. In fact, Schwartz said, even police should be subject to the ban. A lobbyist for the Maine Municipal Association also opposed the exemptions. “If citizens are required to pull to the side of the road to make a cellphone call, then so should everyone else,” said Ann Mitchell. Jay Nutting, a lobbyist for AT&T, said the telecommunications giant is taking no position on the bill, but he suggested an amendment to exempt drivers in emergency situations. 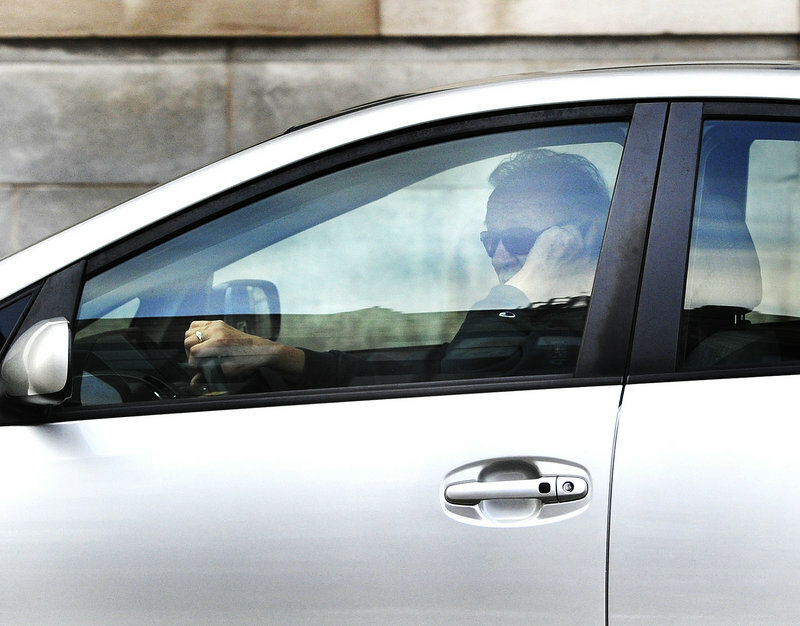 The bill would expand on existing laws aimed at curbing cellphone use by drivers. In 2009, Maine lawmakers passed a distracted-driver law, making “failure to maintain control of a motor vehicle” illegal. In 2011, a law was passed to prohibit texting while driving. The National Safety Council estimates that 21 percent of traffic accidents in the United States in 2010 involved drivers talking on hand-held and hands-free phones. Drivers in the Maine Mall area of South Portland had mixed reactions to the bill Wednesday. Kevin Brown, 20, of South Portland said he doesn’t think that more restrictions are a good idea, and he doesn’t think they would make a difference. “People would do it anyway. It wouldn’t make people any more safe,” he said. Jeanne Rocque, 60, of Augusta said she doesn’t use her cellphone much in her vehicle. When she gets a call or has to make a call, she said, she usually pulls over. She supports further restrictions. Ten states and the District of Columbia now ban cellphone use by all drivers, according to a fact sheet provided to the Transportation Committee. Figures from the Maine Secretary of State’s Office show that 325 people were charged with distracted driving in 2011 and 417 were charged in 2012. A total of 280 summonses were issued for texting while driving in those years, the office said. Maine law prohibits drivers with learner’s permits and drivers younger than 18 from using a cellphone behind the wheel. In the past two years, 191 people have been charged with breaking those laws, said the Secretary of State’s Office. The bill heard Wednesday is nearly identical to one that was submitted in 2011 by Rep. Cynthia Dill, D-Cape Elizabeth, and killed in the Legislature. The same year, Sen. Bill Diamond, D-Windham, got a law passed to ban texting while driving. He also sponsored the distracted-driver law of 2009. Diamond said such measures “take a few cycles to pass.” He said Beaudoin’s bill may do better than previous bills because of increased awareness about distracted driving. The Maine Association of Realtors, whose members often work from their cars, has opposed cellphone legislation in the past. But Realtors will take no position on the current bill, and many members think that talking while driving should be illegal, said Megan Sanborn, the association’s spokeswoman. Portland Press Herald Staff Writer Eric Russell contributed to this report.